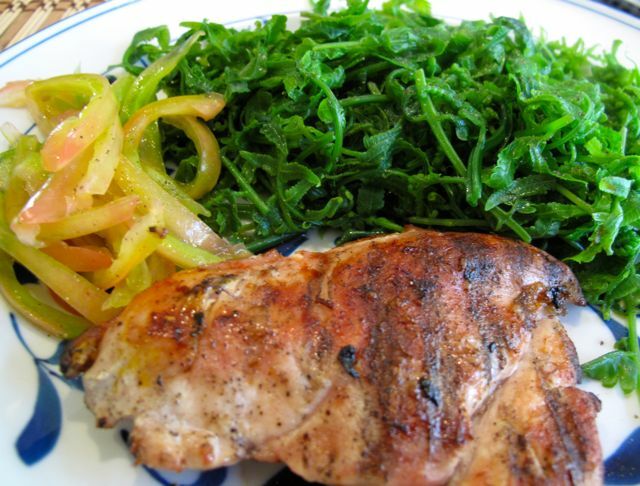 Lunch or dinner might include tuna with veggies, or up top, some grilled chicken with a pako (fern) salad. 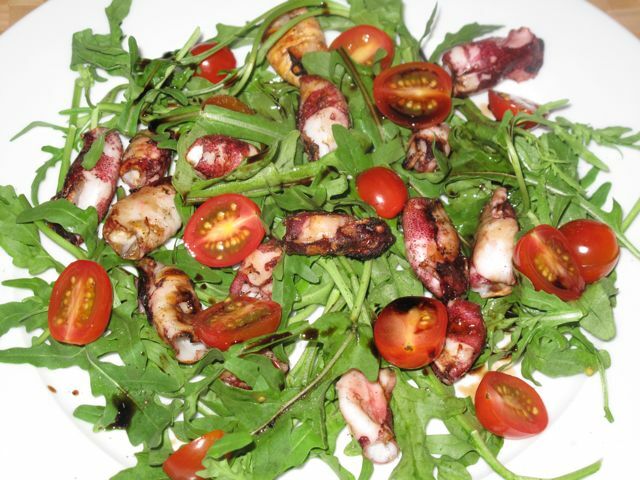 While guests feasted on dinners, I had this arugula salad with grilled squid. I am hoping that by the time the first month rolls around, I will have lost 20 pounds, an increase in my original goal. And if I manage to lose 25 pounds in 1.5 months, I will start a month long “re-introduction period” where all of the foods I normally eat will be slowly allowed back in… though I suspect in far more moderate volumes. So far, so good. I feel good, I feel positive, I am lighter, my skin feels oddly smoother (weird, no? ), I have no more headaches, I don’t get cross more often than usual, and I have been able to continue experimenting in the kitchen with pan de sals, dinuguan, tortas, etc. Concrete proof will come with blood tests in about 2 weeks time… at that point, I will see if there are any improvements in cholesterol, etc., besides the weight loss. And as to the obvious question of what the heck diet Marketman is on, I will defer revealing that until I have completed the loss phase, as I do not want to recommend or endorse a diet unless I am truly happy with the results. Way to go MM, Go Go Go !!!! Never doubted your resolve and determination MM. Congratulations! Way to go Marketman! Wish I could go on a diet and have you as personal chef. Your diet food looks great!!! Do you think even after reaching your goal weight that you’ll be able to maintain this way of eating? That’s always my concern about diets like Atkins or South Beach, for example, because I don’t think I’d be able to adapt to those ways of eating permanently. I think 14 pounds in two weeks is great! But I wonder if it’s safe to lose that much weight that quickly–if you were obese, 7 lbs/week would be reasonable, I think, but for a normal person, it’s a lot! Usually 2 lbs/week is considered “safe”. Congrats Marketman! I’m also currently doing almost the same weight loss strategy. I’m only allowed 1200 calories, sometimes I go over but I make up with exercise. it must be the abstinence from diet coke :D well done, MM! I do have same concerns as Ron… I’ve read that 2lbs a week is what’s considered safe in weight loss. But as long as you’re working with your nutritionist and doctor on this, it should be fine. congrats in exercising fortitude in the face of very tasty temptations! am looking forward to learning more about this intriguing diet of yours, MM! Congratulations! Would it be possible for you to give me the parameters of your diet? im dying to try it! Please let me know the absolute ‘bawal foods’ and the foods that are allowed. Any help you can give me would be greatly appreciated! Im such a huge fan. Hi, MM! Is this the Cohen diet plan I’ve heard so much about? Great effort MM….fantastic result! It’s has been 6 months since I last tested Coke, never thought I can quit (use to drink around 2-3 cans per day) and in my younger years use to chug gulps of it before breakfast…hehehehe! I replaced it with very diluted watered down diet fruit juice/cordial (parang may lasa lang iyong cold water ko). Na basa ko somewhere when you have a low carbo diet you get headaches in the first few days dahil sa carbo withdrawal and then it gets better. 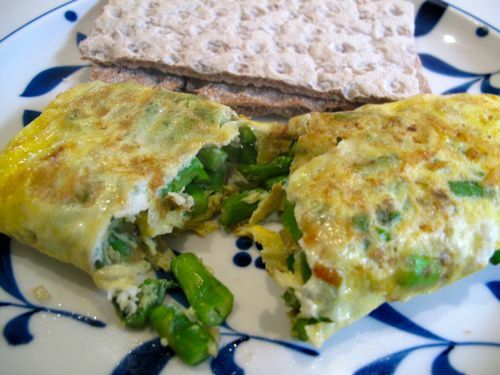 I like your diet food specially the asparagus omelette…yum! Congrats MM for staying on course. Would appreciate if you could share full details later on so hubby and I can try it. Stay healthy! Congratulations! I see several things about your diet: no soda, no rice/pasta, way less refined sugars, portion control. More vegies. I think they’re all helping you reach your goals. Hardest part will be to maintain the weight loss after you’ve reached the target goal, so that’s when you’ve got to start on refueling your exercise regimen. I so envy you MM. Hi MM where can I buy wasa crackers? i believe coke is huge factor. next is fried foods and rice. “my skin feels oddly smoother” …THERE! you just said the magic words! i wanna go on this diet right now! Thanks everyone for your kind words and encouragement! Sayong, there are WASA crackers at Rustan’s and Santis delicatessens. Mila, think NO SALT, NO PATIS, NO TOYO, no canned broths, NO RICE, NO NOODLES, NO POTATOES… yipes. :( And yes, I ramp up exercise again in a month or so I think… Di, will share at the appropriate time. Cris, it’s not strictly Cohen, but has many similarities, and is significantly cheaper. Alex, I get a tailored eating plan that specifies how much of particular types of food I can eat. It is based on blood numbers and supposedly only good for the person who submits the blood numbers. It does not encourage your simply mapping out a diet program on your own. Ley, need and want are two different things… I think I used to eat 4x what my body needed to survive… :) nina, yes, this is clinic/doctor supervised. Rona Y, I am assured that once I hit my weight loss target, foods which were banned will be slowly reintroduced. I figure if I lose 25 pounds in 1.5 months and even if I gain it all back over 1-2 years, it will still be worth the effort. But I do hope to try and maintain a weight that was 15 pounds or so less than my starting point for the next couple of years. It’s the cholesterol and other blood numbers that concern me more than just total weight. And thanks for pointing out 2 pounds per week error, I have corrected the post. Wow! Congratulations Marketman! Reminded me of how I lost 45 lbs. in 3 months when I went on a diet of one complete meal (lunch) a day and a banana or cup of yogurt for breakfast and dinner and lots of water to fill me up when I got hungry and lots of rigorous exercise. When I lost 45 lbs, which was my goal, I stopped dieting and switched to a vegetarian diet and continued to exercise and I plateaued for 10 years but gained back 20 lbs. after I started eating meat again and stopped working out regularly. Now, I am starting to go back to my regular work out routine and eating only very little meat. Good to know that you are on a health trip. Wish you the best. Looking forward to your revelation of this diet. I know how hard it is for a food lover to go on a restricted diet. So much good things to taste and eat. Aaaargh! And no exercise at that! Galing! Congrats! Ban the Diet Coke na, hehehe…. I’ve tried Atkins a few years back and lost probably more in a shorter time, but I am very obese (I gained most of these lost pounds after returning to my normal eating habits). The hardest part for me was not being able to eat ice cream/cakes (and of course rice) ; I have a thing for sweets. Really interested on your after diet report!! Hope you can share your diet soon. I heard about the Cohen and while I have seen it work on a few friends of mine, the cost to get it – PhP55K is just too much a price to pay. Wishing you more pounds lost!!! Always nice to hear stories about losing weight lol. Probably because I am in the process of it too. Thanks to my trainer, who is always quick to quash all false hope and goals, I always keep in mind that it is so much easier to stay in shape than to get back into it. I can’t say that I don’t think about relapsing, though. Meron talagang araw na sobrang hirap to eat right- even if the food is just as delectable as the ones you feature on your blog. BTW, I’m 297 lbs. at 5’7 frame, so every pound COUNTS. 12 lbs in 14 days to me, is just, whoa! I would have to chop off my fatter hand (yes they’re uneven) to lose the same. Way to go, MM! Congratulations and keep it up. I hope the blood numbers would be as great as your weight loss results. I can live on your diet – it looks great. And I really think we should go easy on the meat, esp red meats, and more fruits and veggies, to fill us up. I am so happy for you! :). God bless always! Just curious MM…what prompted you to go on a diet program in the first place? Was it high LDL and triglyceride levels? Borderline blood glucose? Fatigue? Weakness? 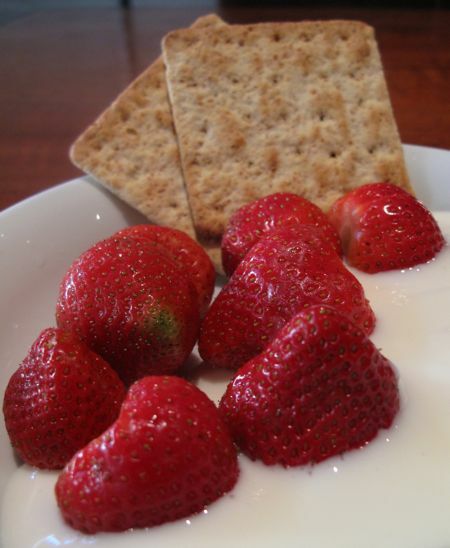 Hi MM, just wanted to ask – what brand of low fat plain yogurt do you use and where do you get it? :) Many thanks! Congrats Marketman! inggit ako sa iyo. Might as well rid my fridge of these coke zeros. congratulations, MM. 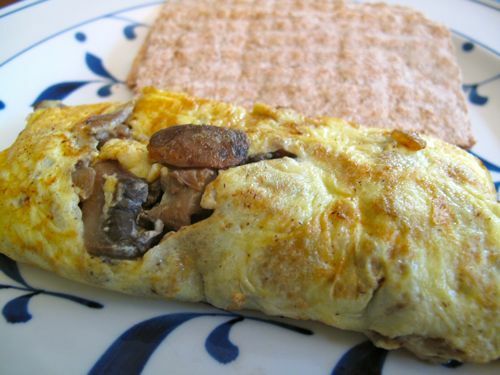 that mushroom omelette seems good to eat. your diet, despite NO SALT, NO PATIS, NO TOYO still seems to be appetizing not like those i have heard before saying that they seemed like eating paper. MM, am back in NL where all these healthy stuff (yoghurt, muesli, fresh berries, etc.) are literally just around the corner from my home. Kaso… the WILL to start – and maintain – a diet is another thing. Argh! Hi MM.. Congratulations on your diet.. It was indeed a success.. I was inspired with your diet so I decided to try some of the diet meals posted here two weeks ago and it was very effective.. Originally my weight is 184 lbs then after 2 weeks, it was down to 174 lbs.. I eat a lot of fruits and veggies and then less salt and carbs for all the food that I prepare. I also eat diet cereals with skimmed milk in the office at least once a day. Sometimes I exercise after work like brisk walking, some weights, & stretching. Thank you for sharing new meals for your diet, I’ll try them this week. Thank you very much for inspiring us. keep it up! hi marketman! 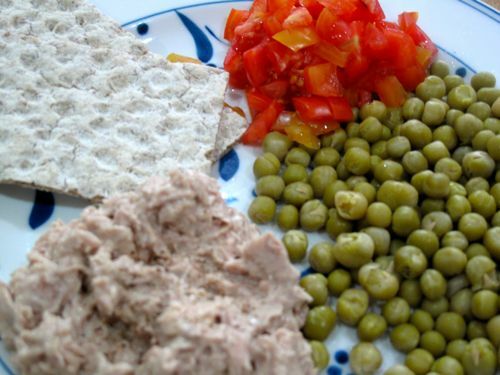 do you get to eat snacks on this diet? if so, i’m wondering what kind of snacks are ok.
Congrats MM and commend you for your exercise of self control considering your wickedly delicious kitchen experiments and hosting friends, relatives for dinners. Thank your lucky stars too you don’t have gout or hypertension or they would have limited even more you dietary choices: no cruciferous vegetables, no tuna, no asparagus or mushrooms and , limited dairy which has relatively high sodium content. and good you are off you diet coke fix! Oh BTW, you meant SKEPTICS sp.? Wow congratulations! And you’ve done it with all the good food around you! 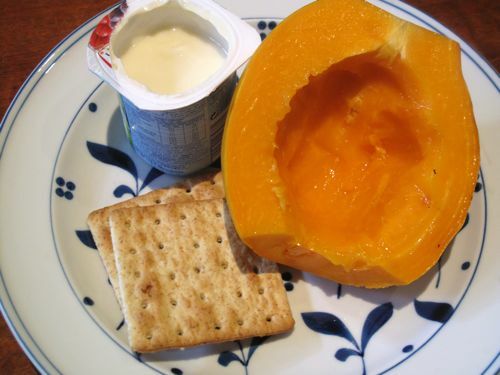 Do you use any other crackers aside from Wasa? You have quite a number of pictures of fried dishes. Did you use a special oil? In reduced quantities? Congrats, MM! that’s really inspiring…keep it up! serving your guests the past few days. so i commend you on your resolve to lose weight. congratulations on losing the weight and good luck to your continued success. thanks for still featuring and sharing with us all that delicious and succulent looking food in spite of your diet. i always get hungry reading your blog. MM, I guess the think to do is really minimize salt, patis, toyo and rice from the diet. Yeah, I’ll try them this week and will go to Rustan’s find that cracker. Instead of cracker, I eat wheat bread or my own version of mashed potato with no salt. My friend and I bought Arugula leaves/salad in SM Makati last week but we didn’t like the bitter and spicy taste so we end up eating Lettuce. This weekend, I will try your Adobong Puti using your listed ingredients here… (I hope that’s okay) :D. We’ll prepare simple celebration for our bunso who is now an RN. I guess that’s my cheat day. I also stop drinking any softdrinks, for at least 2 months now. Still surviving… Thanks again MM.. It really feels good to lose weight. very nicely written MM… and the fern/pako looks very fresh and delicious. and the urugula looks like that, my first time to know about this one… yum, im green with envy. This is a very inspiring post. With great food around, I am also suffering from a little elevation of my bad cholesterol which is why I am searching for good healthy diets around. Any diet with fast results like this should really be supervised by a professional. Way to go MM and good luck. I will visit for more inspirations and updates. Oh by the way, I will be trying out that crackers. Thanks for sharing! MM, would you mind sharing with us who you are consulting for your diet? Is this the doctor/nutritionist in Cardinal Santos? and might i also know where you got the strawberries? i haven’t seen any lately in the (not spectacular) supermarkets i frequent. a friend of mine said that the unusually cold holiday temperatures in the Benguet/Mt. Province area killed most of the strawberry crops. say it ain’t so! MM, by any chance are you doing the Cohen diet program? You mentioned weighing your food kasi. Sheesh. I should’ve read the previous comments. Hahaha. My bad. I’ll just wait for your big reveal. I’m really curious about your diet because right after my wedding last year, stress got the better of me and my once ideal weight of 128lbs, I’m now 147lbs without any major changes in my diet. My hormones are also on haywire. I’m curious and want to consult with your specialist to help me out. Congratulations MM! you are well on your way…keep it up. Admirable, Marketman, but perhaps when you are permitted a more “normal” diet you ought to consider dumping the diet Coke forever and indulging instead in the occasional glass of wine with lunch. Or if you truly are a soda addict, make room for a soda made from natural ingredients–they do exist. Sorry, but diet *anything* with synthetic sweeteners is just…gah! “Eat real food” is a good mantra. Congratulations on the diet MM! Started on a diet & exercise regimen but didn’t have results as significant as yours. 12 pounds in a month. But I wasn’t measuring for fat loss and muscle gain properly so can’t really vouch for how good my regimen has been. I do feel great though. The diet I follow is the “Paleolithic diet” (http://www.paleodiet.com/definition.htm). In a nutshell, what a caveman prior to the introduction of agriculture. The theory is fat==good, carbs==bad. Fat contains many vital nutrients. Most (wilderness) survival books advocate eating meat _with_ fat. The exercise is 30 mins a day of something similar to P90X. Carbs digested with fat is the problem with weight/fat gain. I really lament limiting my rice intake with all your delectably fatty pork recipes but that’s the way the pounds start packing on. Also, try to look up the 4-hour Body (by Tim Ferriss). There is a lot of “tested science” (tested by the author) and one of the suggestions is heavy breakfast, moderate lunch and light dinner. And only eat when you’re hungry (which is very difficult for the conventional 12noon work lunch schedule that the world adheres to). Also consuming fat and protein in the morning (for me, 4 strips of bacon and 2-3 eggs, sunny-side, skip the toast/rice) primes the body to better digest fat, protein _and_ carbs the rest of the day. If you have more time to read, try looking into “gluten intolerance” and “leaky gut syndrome”. So, so proud of you Marketman!! You’re doing a wonderful job, and love your motivation! I don’t know how you do it being around that luscious food, but I know you’re a determined person! Keep up the great work!!! Looking forward to reading your progress. I’ve been losing as well, but fell off a bit on President’s Day! Yikes, an omelette with no salt…?! Congratulations MM on your feat! Working in the healthcare industry here in Melbourne provided me an insight on the weight loss products/programs here. I found out that with weight loss, the first 5-10 kilos you will lose easily as it’s just water in the body. It’s the succeeding amount that is the real ‘weight loss’ and will be more difficult to achieve and maintain. Congrats MM! I also went on a diet about 8 weeks ago. I cut rice off and instead ate camote. I lost about 3 inches off my waist. I’m back to eating a little bit if rice though but still eating camote which I read is a nutritional star.